East Cliff United Reform Church, Holdenhurst Road, Bournemouth. Meetings are held on the fourth Wednesday of each month. Meetings start at 2.15 pm and finish at approximately 4pm. There is no meeting during August. 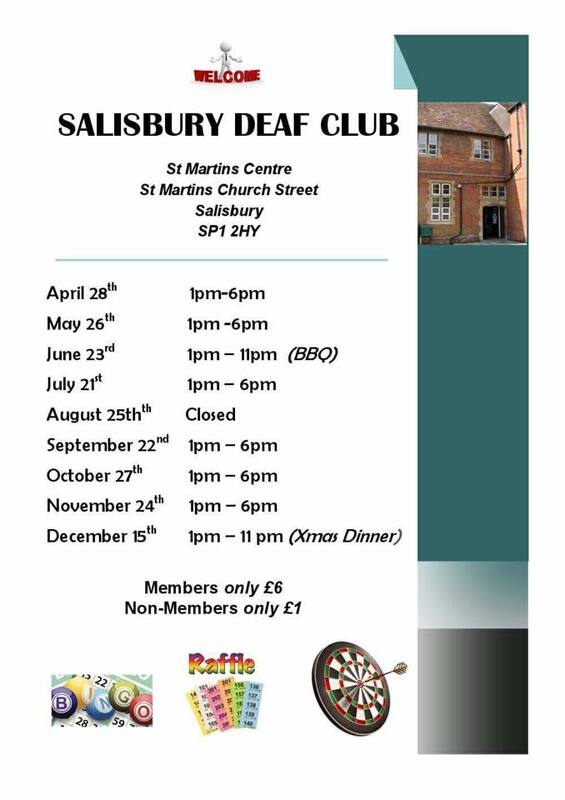 Bridport Deaf Club is a family-friendly community group for deaf people and their family and friends. It meets on the first Saturday of the month from 2.00pm – 6.00pm. This group meets four times a year at venues around East Dorset. Meetings are informal get-togethers with a variety of content from guest speakers on hearing or non-hearing related topics, to lip reading competitions and light hearted quizzes. The group also runs a social club on the 3rd Wednesday of the month from 2-4pm at Waterloo Social Club, 5 Plantation Road, Poole BH17 9LL. A newsletter is produced for members prior to the four main meetings of the year. 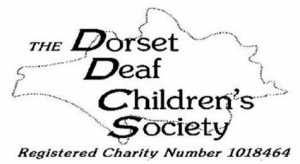 Committed to helping deaf and hard of hearing Dorset children and their families with advice, support and equipment grants. This group meets on the third Thursday of each month, 2pm at St. Mary’s Church Hall, Church Road, Ferndown. Admission is £1 including tea. New members are always welcome. Meetings are held on the first and third Tuesday of each month, from 2pm to 4pm at St. James Church Hall, Church Street, Poole (just off The Quay). New members are always welcome. 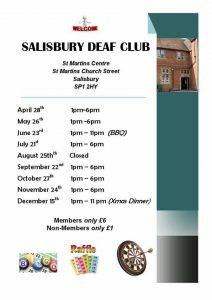 The Association provides ministry and pastoral care for deaf and hard of hearing people across the Church of England’s Salisbury Diocese. Meets weekly at the Health Centre in Carfax Street.